Victoria Beckham has posted a video online showing women from around the world recreating the Spice Girls classic ‘Wannabe’ video. 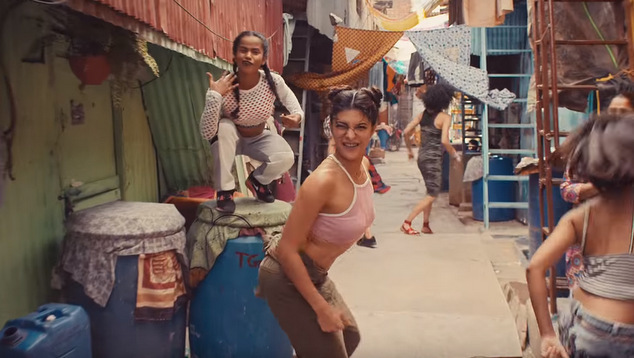 In the clip created by The United Nations’ Goals for Sustainable Development and it incorporates dozens of women and girls from all over the world and asks them what they really, really want. The initiative called for females to post photos of themselves holding a placard stating what they want to see in policies and plans, using the hashtag ‪#‎WhatIReallyReallyWant‬, to be in with a chance to get the message passed to world leaders at the UN in September. Posh Spice – Victoria Beckham shared the Wannabe remake on her social media to show her support for the campaign and it quickly started racking up views. Within just a few hours of being released the video had been viewed millions of times. The Spice Girls first release ‘Wannabe’ came out on July 8th 1996, the song will celebrate it’s 20th anniversary on Friday. The new clip even revisits the location of the original music video. The Midland Grand Hotel, now known as St. Pancras Renaissance London Hotel, is located next to the dual train stations of St Pancras and Kings Cross. Rumours that the band would reunite for a new tour to mark their 20th anniversary were put to rest recently when both Victoria Beckham and Mel C ruled out any chance of the band getting back together. The last time all five members of the band performed together was at the London Olympics in 2012, the band later appeared together a few months later at the opening of ‘Viva Forever’ – the musical built around their songs.